← Let’s Get Physical. UX Beyond the Screen. 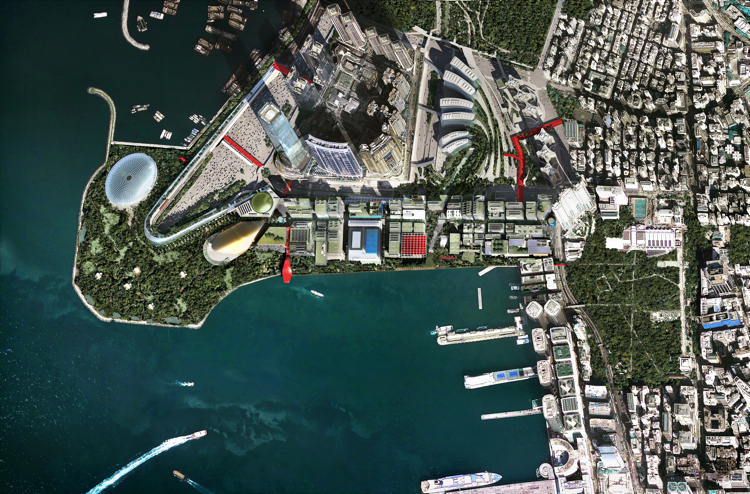 The British architecture giant Foster + Partners has won a design competition to whip up a 40-hectare arts district in Hong Kong, a project expected to transform this region famous for its skyscrapers and rapacious capitalism into a flourishing cultural mecca. The proposal folds a raft of green technologies into a sweeping revamp of the harbor, which will include a whopping 17 new cultural facilities, a 1.25-mile waterfront promenade, and a massive park. Norman Foster, who has worked extensively in Hong Kong and is best known for pairing his technological savvy to a pragmatic, muscular design aesthetic, beat out two finalists for the job: Dutch starchitect Rem Koolhaas, whose gorgeous, experimental proposal we covered back in August; and the local firm Rocco Design Architects. 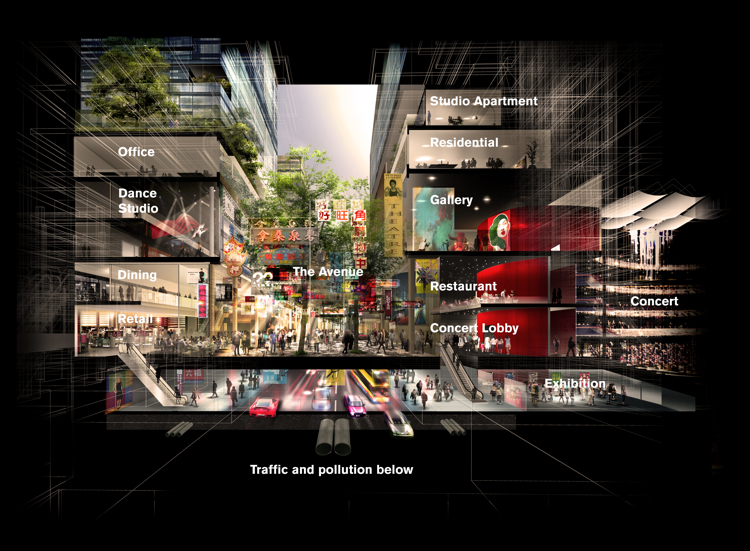 The selection suggests that Hong Kong is investing its cultural capital in experience over radical design (Koolhaas) and star power over hometown cred (Rocco). It’s a safe (but not too safe) move for a part of the world eager to match its economic might with artistic influence. 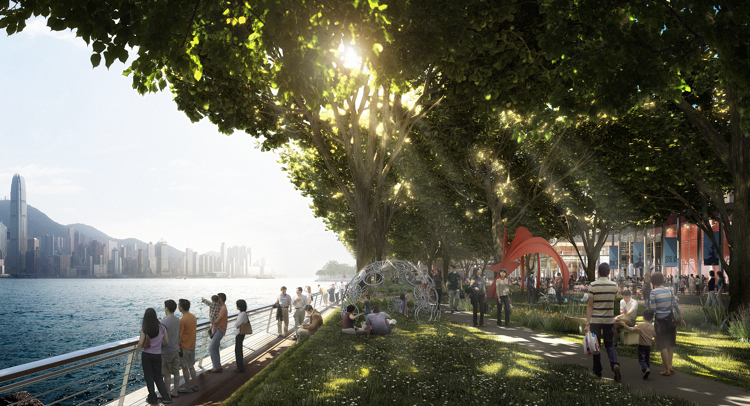 Foster’s vision centers on the notion of a “City Park.” The heart is a literal park — much needed in this dense vertical city — that’ll stretch 19 acres around the harbor and come replete with terraces, promenades, and outdoor performance venues. The park will link to a vast sprinkling of arts buildings (a sort of Lincoln Center on steroids). And a fresh new central avenue will provide space for assorted cultural and commercial interests to collide. We’re always a tad skeptical of these sorts of things, since it’s so much easier to promise a slim carbon footprint than to realize it. Here’s to hoping Hong Kong is as serious about the environment as it is about cultivating its cultural cred.